Nerocode SQLWave is a powerful MySQL GUI tool designed to automate and simplify database development process. It also provides an easier way to explore and maintain existing databases, design compound SQL statements, query and manipulate data in different ways. 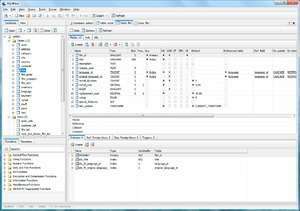 Nerocode SQLWave is a powerful MySQL GUI tool designed to automate and simplify database development process. SQLWave MySQL GUI 4.0 is a shareware program and can be used as a demo to try the software until the free trial period has ended. A full version of the program is available after the trial period ends. For security reasons, you should also check out the SQLWave MySQL GUI download at LO4D.com which includes virus and malware tests. Additional screenshots of this application download may be available, too. SQLWave MySQL GUI has a presence on social networks.